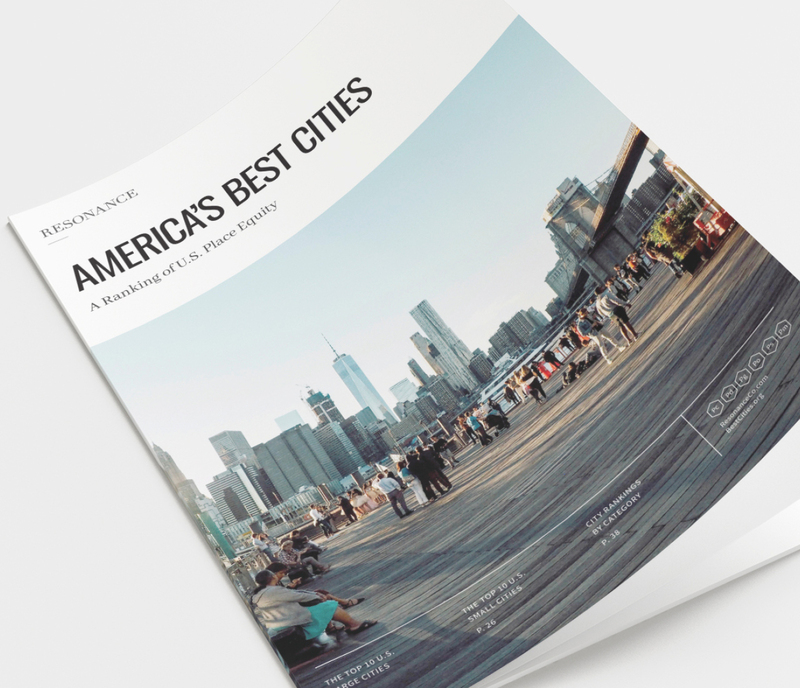 Resonance Consultancy scores the world’s best cities based on the six metrics below. The ranking evaluates each qualifying city across the six pillars of place equity: Place, Product, Programming, People, Prosperity, and Promotion. 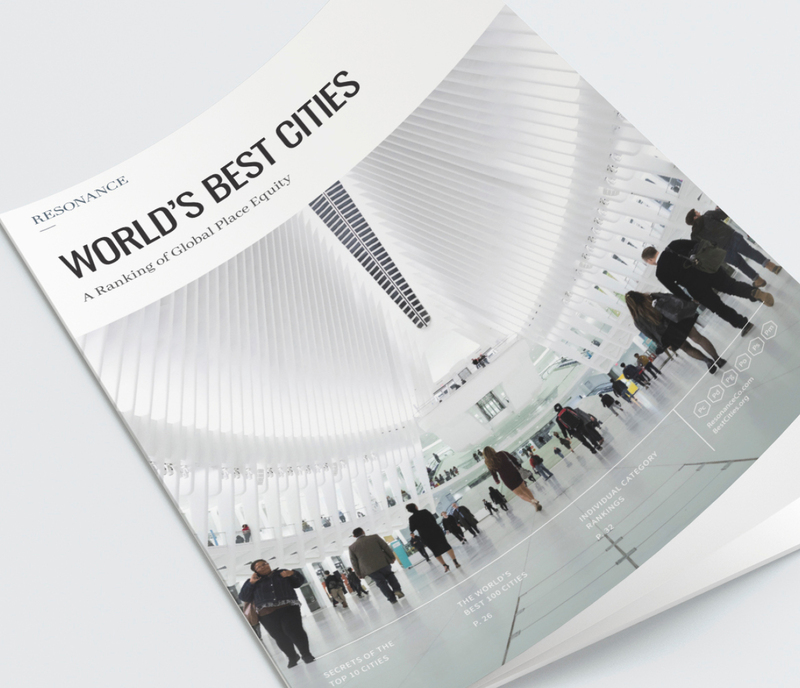 The performance of the Top 100 cities in this report is summarized in radar charts. Each hexagon in a radar chart represents a category of a city’s competitive identity. The perceived quality of a city’s natural and built environment, including the sub-categories of Air Quality, Weather, Crime Rate, Neighborhoods & Landmarks, and Parks & Outdoor Activities. A city’s key institutions, attractions and infrastructure, including the sub-categories of University Rankings, Airport Connectivity, Convention Center, Entertainment, and Museums. The arts, culture, entertainment and culinary scene in a city, including the sub-categories of Shopping, Culture, Culinary, and Nightlife. The immigration rate and diversity of a city, including the sub-categories of Education and Foreign-born Residents. A city’s employment and corporate head offices, including the sub-categories of Unemployment, GDP per capita, and Global 500 companies. The quantity of stories, references and recommendations shared online about a city, including the sub-categories of Google search results, Google Trends, Facebook Check-ins, and TripAdvisor reviews.